events will be contested on the infield of the track facility. Spikes: Pyramid & X’mas Tree spikes of ¼” (6mm) or smaller are allowed. No pin or needle spikes. Eligibility: This meet is open to the public. 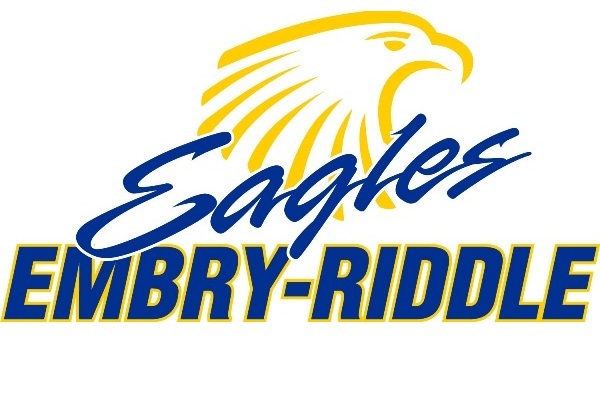 to Embry-Riddle Aeronautical University. The entry fee is due at the time of packet pick-up. Entry Limitations: There is no limit on entries for this meet. Performance List: A performance list and heat sheets will be available for viewing on-line by February 19, 2015.
preliminary attempts with nine athletes advancing to finals for three additional attempts. Event Check-in: Athletes must check-in with the clerk of the course 20 minutes prior to the start of their event. Field events will check in at event locations. Starting Heights: Will be determined by meet officials. Timing: We will be using a FinishLynx scoring system in all races. 60 hurdles, long jump and shot put (the 1000 at will be run with the men’s 5000). Food: Food services are available on campus, at the concession stand or at several restaurants located within a few miles of the campus.